August 26th is Women's Equality Day here in the United States. Though this is a landmark date, it has been deeply under-noted. 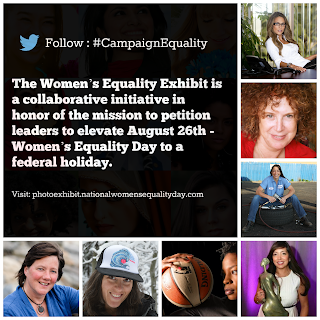 Support the petition to make August 26th, Women's Equality Day a federal holiday! In honor of the 100,000 plus women who stood for equality on August 26th 1970, just decades later after women were given the right to vote on this same day, we propose 100,000 signatures for this important petition. We call on not just women, but evey American to assist with this mission. 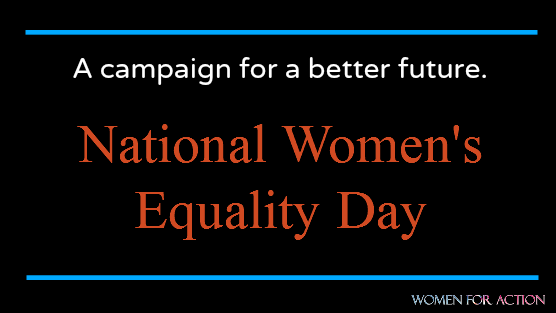 You can also visit http://www.nationalwomensequalityday.com/ to stay up to date with the petition's campaign. Jon the campaign for #Onehundredthousand for #womensequality!